During the announcement of sales results (read losses) for the third quarter of their fiscal year 2014. 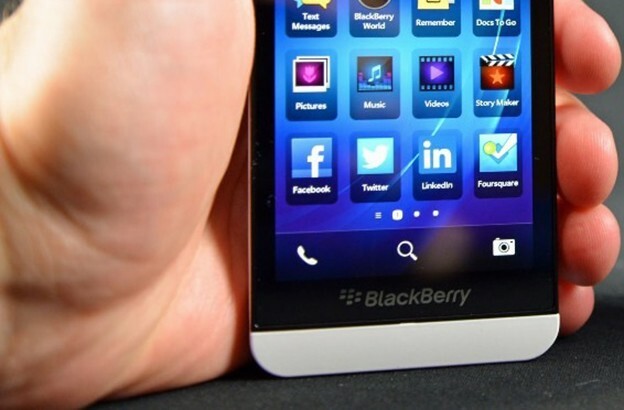 The BlackBerry has confirmed that they plan is to release a new smartphone in collaboration with Foxconn. The smartphone will work on BB10 operating system, and the code name of the new device is Jakarta, and it will be launched in the Indonesian market. BlackBerry is also planning to bring a new phone and to the six or seven other markets, but they will publish more details subsequently . Unfortunately, the BlackBerry has failed to present any new information about the device hardware, but confirmed that they will focus on its software, while Foxconn will be responsible for producing the phone. According to the agreement with BlackBerry, Foxconn will manufacture the new device at its plants in Indonesia and Mexico, and all intellectual property rights will own BlackBerry.